Tradebox is the complete cryptocurrency trading platform management software. It has three main part, Admin Portal, User Portal & website. Why have you bought Tradebox? For whom the Tradebox is? Cryptocurrency is one of the greatest revolutions in the present world. It is known as a digital currency which is being produced & managed by blockchain technology. As it is the result of technology, so there is an enormous auto set arithmetic logical coding project(software) related to it. However, the thousand dollar question is what is cryptocurrency trading software? Cryptocurrency trading software is a set of code which is designed to manage every aspect of crypto trading. 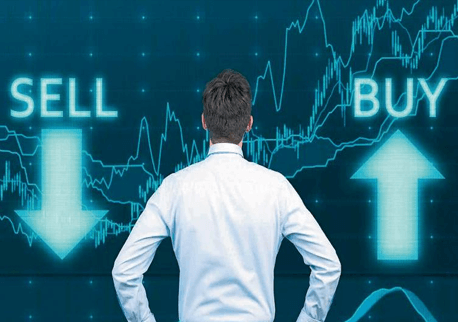 Crypto trading business module is the combination of functions like cryptocurrency buy, sell, exchange, pair-exchange, analysis, investment etc. Crypto trading software is being made for handling these functions. Tradebox is an advanced cryptocurrency trading software and platform management system. It has both front end part and backend. Front-end refers to a responsive website to explore your business. A trader can register to your platform and use it effortlessly. 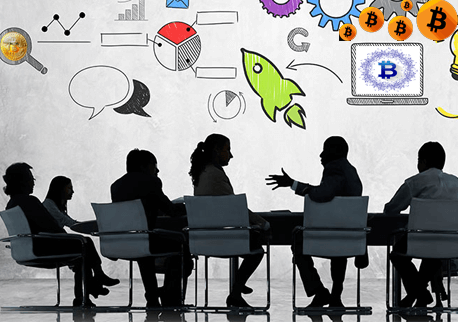 Backend refers to admin panel and it is designed to manage your crypto enterprise. You can add your own coin & create a new market. It can also be used as cryptocurrency exchanger. If you get Tradebox, you can manage your crypto trading, buy-sell, exchange etc without any hassle. There is another backend feature called user control panel. User control is give user access to your platform for trading and exchange crypto. Admin panel is to manage whole platform easily and make money smoothly. Entrepreneurs:Entrepreneur who is dreaming to start a new crypto trading business, Tradebox is a ready-made platform for his/her. 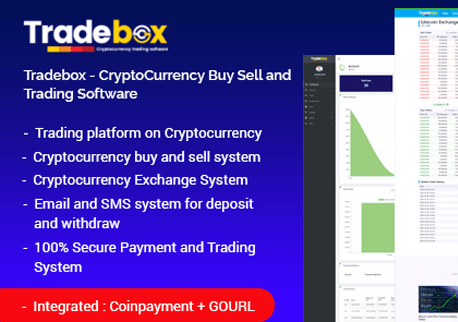 Cryptocurrency trading platform owner: Tradebox is a blessing for all digital currency trader, who are want to manage their platform and trading activities from a definite place. 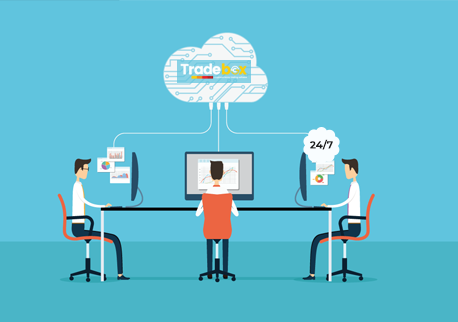 A trading platform owner who has bought Tradebox can easily provide currency trading facilities to digital currency trader by exchange of fees and thus he can earn huge amount of money. Starting TradeAs a purchaser or merchant, you may choose from the rundown of accessible offers from the commercial center with which you can start an exchange. A portion of the highlights of exchange incorporate. 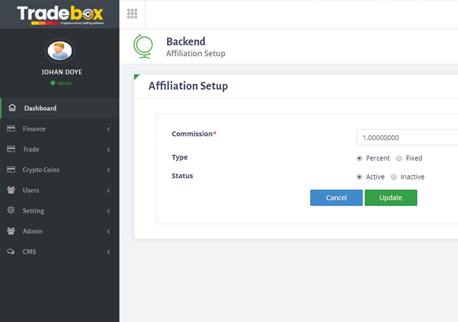 It need to mention you are getting a website, an admin control panel, an user control panel by purchasing Tradebox to make and manage your platform. Using admin panel feature you can make offer, buy-sell package , coin pair etc on trading platform, manage trading request, withdraw - deposit transections request etc thats are related to cryptocurrency trading. If people trade digital currency using platform, you can make money by charging fees for trading. Besides you can also make money by trade ownself. One time payment:Tradebox is open source ready made software. You can gain it through one time payment. Cheapest:It is costly to get total solution that contains website, separate admin and user control panel, But you get tradebox only for around $200. It is the cheapest cryptocurrency trading solution in the world contracted to the value you are providing to get it. To realise what business values are being offered by our project, see the main feature of our Tradebox. Please have an eyesight over many of our Miscellaneous facilities that we have not described before. Hope this will help you make the right decision. Package Buy and ROI System. Â© 2019 bdtask. All Rights Reserved.